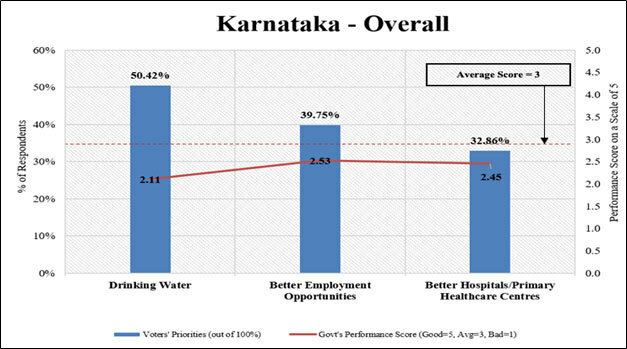 BENGALURU: A state-wide survey by the Association of Democratic Reforms (ADR) in Karnataka ahead of the Lok Sabha polls show government’s performance in the areas of drinking water, jobs and healthcare facilities is below average. 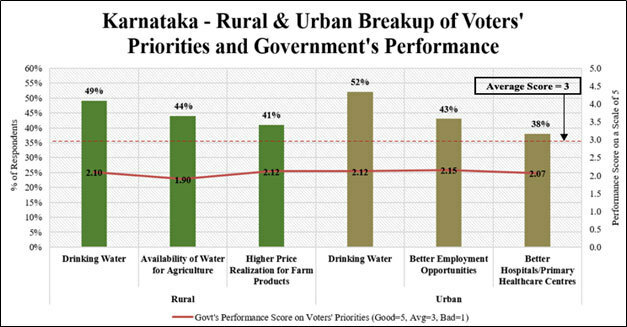 The Karnataka Survey 2018 shows that Drinking Water (50.42%), Better Employment Opportunities (39.75%), and Better Hospitals/Primary Healthcare Centres (32.86%) are the top three voters’ priorities in overall Karnataka. The performance of the government on all top three voters’ priorities of Drinking Water (2.11 on a scale of 5), Better Employment Opportunities (2.53), and Better Hospitals/Primary Healthcare Centres (2.45) was rated as Below Average, the ADR said in a press release. The ADR commissioned, according to its press release, perhaps the largest ever Voter Survey in any country. The survey was conducted between October 2018 and December 2018, prior to the General Elections to the Lok Sabha 2019. 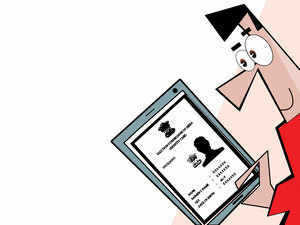 It covered 534 Lok Sabha constituencies with 2,73,487 voters participating in this exercise spread among various demographics. The three main objectives of this survey were to identify the following: (i) voters’ priorities on specific governance issues, (ii) voters’ ratings of the government’s performance on those issues, and (iii) factors affecting voting behaviour.